Thinning hair has been a problem for many over the years. We love to let our hair hang down and flow in the wind. 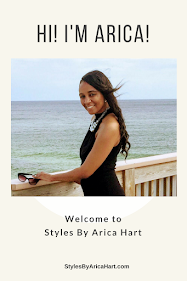 We love to get those beautiful up-dos with the long stunning hair. There are times in life where your hair may began to shed and it may seem scary, but i want you to know you are beautiful no matter what the situation is. Hair can shed for so many reasons. Some of them can be treated, while others you can only try to slow the thinning process down. 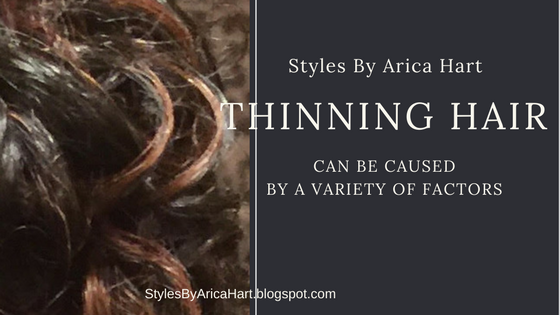 Here are a few causes of thinning hair. Thinning Hair can be caused by a variety of factors. Lack of the proper vitamins. Have you ever looked back and seen one of your parents with thinning hair? You imagined what you will look like when you get older. You wonder if you will inherit thinning hair or if you will continue to grow healthy hair. "Hereditary-pattern baldness is the most common cause of hair loss. Hereditary-pattern baldness is not really a disease, but a natural condition caused by some combination of genetics, hormone levels and the aging process." Medications are created to help heal or relieve the symptoms of certain health conditions. Unfortunately, they may come with some side effects. 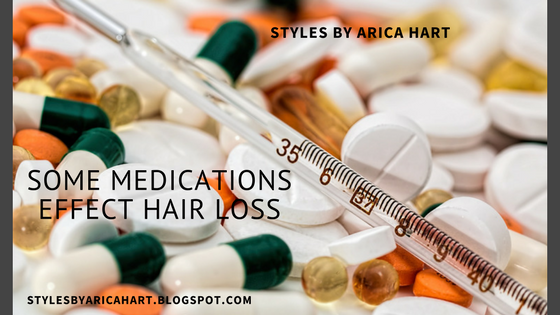 Some medication contributes to various changes in the hair texture and color, hair growth, and/or hair loss. Have you ever noticed that when you were taking medicine to cure one thing, a different symptom might astonishingly appear. One of those symptoms can be the lose of that beautiful and stunning hair as well! "Telogen effluvium is the most common form of drug-induced hair loss. It usually appears within 2 to 4 months after taking the drug. This condition causes the hair follicles to go into their resting phase (telogen) and fall out too early. People with telogen effluvium usually shed between 30% to 70% more than the normal 100 and 150 hairs a day." Also states by Web Md, "Anagen effluvium is hair loss that occurs during the anagen phase of the hair cycle, when the hairs are actively growing. It prevents the matrix cells, which produce new hairs, from dividing normally. This type of hair loss usually occurs within a few days to weeks after taking the medication." It is common in patients who are taking chemotherapy drugs for cancer. It can cause people to lose a large amount of hair. There are various medicines that can have that effect on your hair, but if the benefit of taking the medicine is feeling better, you have to do as your doctor prescribe. When making a choice between taking a medication or not it can be stressful, but we must choose whats better for our overall health and well being to live a long healthy life. After all, with an innovative hair stylist, a hairstyle can still be created for you! Keep your head up and work on getting your health together and eating nutritious meals. After all you are still beautiful! Web MD states, " The hormonal process of testosterone converting to DHT, which then harms hair follicles, happens in both men and women. Under normal conditions, women have a minute fraction of the level of testosterone that men have, but even a lower level can cause DHT- triggered hair loss in women." Getting chemical services to often can be damaging to the hair. There is nothing wrong with a relaxer as long as it is not being reapplied to often. Improperly applying a chemical service can be unhealthy for the hair. Don't overlap the relaxer over the previously applied relaxer, because it may damage the tresses. This is why a professional should apply all chemical for you. You may have it slayed and relaxed looking good, but you don't want it falling out in a few days. Then you will have to see a stylist for some reconstructive surgery of your hair. A lack of the proper vitamins can be treated by eating healthier or taking vitamins supplements that are appropriate for your nutritional intake! Our hair needs vitamins just like our major organs; such as, our heart on lungs!